If you’re looking for information on Social Security Disability in Sandusky, Ohio, Liner Legal can help you. To set up an appointment with Liner Legal in the Sandusky area, call our office at 216-282-1773. If you don’t want to go through the process of applying for Social Security alone, you don’t have to. Set up an appointment with us and our experienced attorneys can guide you through the application, appeal, and hearing processes. Sandusky is around an hour west from Cleveland in the northern part of Ohio on Lake Erie. It is the city between Cleveland and Toledo. The city of Sandusky is home to 22 miles of shoreline and is easy to get to from either I-90 to OH-2 or I-80 to U.S. Highway 6 E.
Where do Liner Legal clients receive medical care in Sandusky? Although Sandusky is a smaller city, there is a wide variety of medical resources for the community to go to. No matter if you have a physical or mental impairment, there is a place for you to receive quality medical care. This hospital ranks in the top 10 percent for patient safety in the nation for 2017. Patients will find an Emergency Room, as well as services for orthopedics, the heart, and behavioral health. Family Health Services offers same day appointment to the community and offers services in adult medicine, vaccinations, diabetes, blood pressure screenings, and child-checkups. 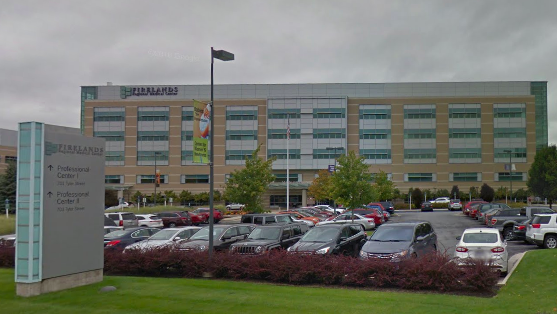 Although not located directly in Sandusky, Fisher Titus Medical Center is only a 30-minute drive in Norwalk. 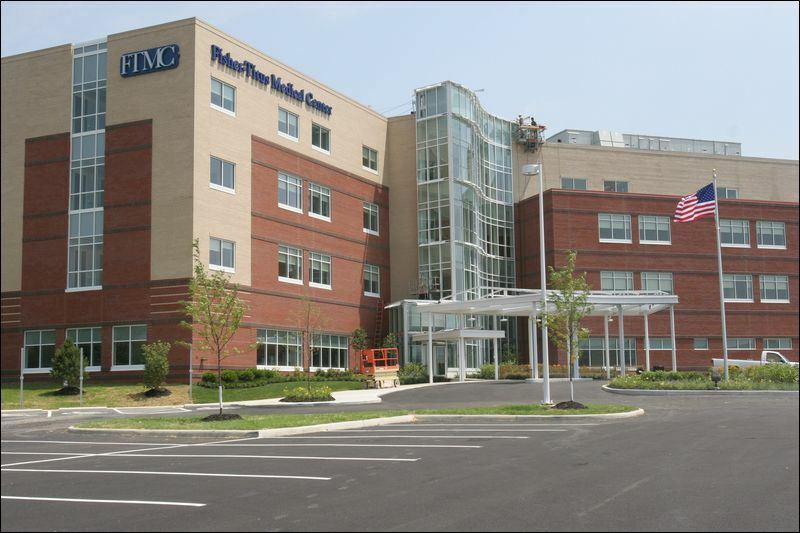 At this location patients find an acute care hospital, nursing facility and assisted living facility with specialties in urology, heart & vascular, digestive health, orthopedics, and surgery. Where are Sandusky’s Social Security offices? Sandusky is fortunate to have a local Social Security Administration office. At Sandusky’s SSA Office, those who are wanting to file for Social Security disability benefits can go to this location to make an appointment to fill out an application. The building is only two blocks away from the bay area, found at the corner of Wayne Street and Washington Street. Where do our Sandusky Social Security lawyers go to court? If you hire a lawyer for your disability claim, and your case was denied that means your case will go to the hearing level and get presented in front of a judge. There is not a court location in Sandusky, however, there is a court in Toledo – only an hour drive away. 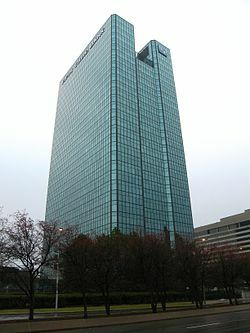 The courtroom is located on the 13th floor of the building. What are other local Sandusky resources available to the community? When you apply for Social Security disability benefits, unfortunately, there is a lot of long waiting periods between decisions. However, with Liner Legal, we help to steer you towards other resources and organizations that may help you during these waiting periods. There are many programs in the Sandusky area to help get you on your feet. In Sandusky, there is an organization called the United Way of Erie County, which has a focus on education, financial stability, health, and basic needs. United Way has a goal to help youth through the age of 18 with programs through the Boy and Girl Scouts, as well as mentoring programs. For financial stability, the organization has a program to help with financial literacy called the Ohio Benefit Bank Tax Assistance. The United Way of Erie County also helps with health through prescription assistance, Meals on Wheels, free summer produce markets, among other services. For individuals with immediate needs, the organization provides “quality access to timely short-term assistance for food, shelter, clothing, utilities, daycare, furniture, transportation and referral services.” Overall, the United Way wants to ensure your life is stable. During the time you’re applying for disability benefits, if you’re looking for assistance programs or possible employment for yourself in the future or for a family member, Erie County Job and Family Services provides assistance in Family and Workforce Development. Not only does this department help with finding employment, but they’ll also guide individuals with how to get Medicaid, food stamps, cash assistance, or child care. Additionally, Erie County and Job Services provides assistance with health care coverage and food assistance programs. This is a great resource to utilize for employment, health care coverage and food assistance programs. At Liner Legal, we also offer legal assistance to the Deaf and hard of hearing community when they experience Deaf discrimination. The Community Center for the Deaf & Hard of Hearing is a great resource for communication. Although located in Cleveland, this organization does provide services to the Sandusky area. Individuals can request an interpreter on their website for a number of occasions, ranging from going to the doctor, attending a wedding, or visiting a car dealership. Another helpful resource found in Sandusky is the Salvation Army, which is known as the Sandusky Corps. The goal of this organization is to help at-risk men, women, and children. The Sandusky Corps accomplishes this goal by providing a food pantry, utility assistance, emergency shelter options, casework services, and even a back to school backpack program. If you are in need, don’t hesitate to reach out to your local Salvation Army. What is there to do in the Sandusky area? Even though Sandusky is not a bigger city, such as Cleveland, the opportunities for activities in the area are endless. The summer months are lively and packed full of options. Are you a fan of roller coasters? 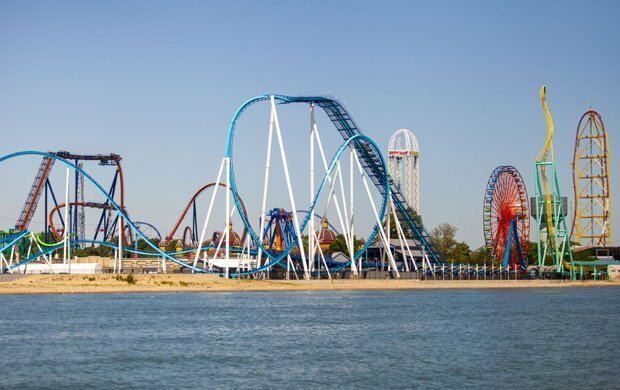 Sandusky is home to Cedar Point, termed the roller coaster capital of the world. The amusement park is the most iconic part of this area. If you’d rather stay grounded, you could check out the African Safari Wildlife Park where you can drive or walk through and feed giraffes while seeing other exotic animals. Other fun places to check out during the warmer months are Lake Front Park and Shoreline Park. Both have waterfronts, picnic tables, grills and fishing available. Shoreline Park is ADA accessible, whereas Lake Front Park allows for swimming. Is it currently cold outside? That’s not an issue because Sandusky has a multitude of fascinating museums. 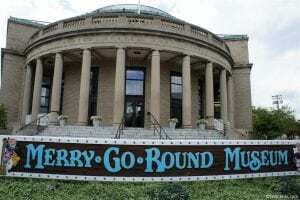 If your kids are with you, consider taking them to the Merry-Go-Round Museum, with a fully restored carousel, 200 original carousel pieces, and offers the opportunity to speak with carvers who work there. 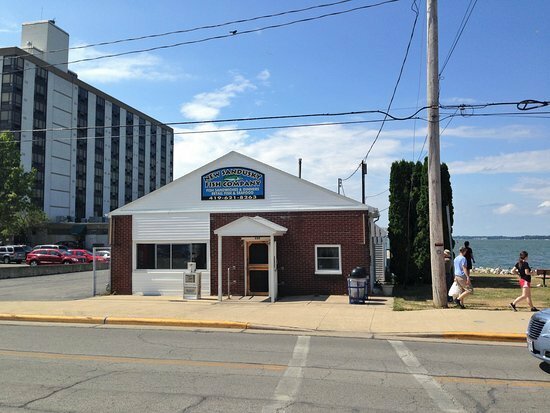 Another museum of interest is the Maritime Museum of Sandusky, which has interactive exhibits focusing on the area’s fishing, shipping, and involvement with the Underground Railroad. Lastly, if you’re in need of a free activity look no further than the Follett House Museum This building houses the history of Sandusky and Erie County while providing a panoramic view of the city and Cedar Point. After you visit all that Sandusky has to offer, you’ll need to eat. Great Lake Grinders is known for their sandwiches and is conveniently located near Cedar Point. If you’re at the Sandusky Bay area, stop by the New Sandusky Fish Company. People can’t stop raving about the perch, so make sure to not leave without trying it. 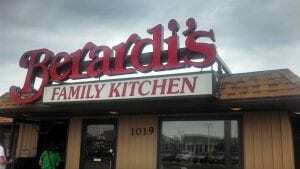 Sandusky also has great friendly neighborhood restaurants, such as Berardi’s Family Kitchen. This restaurant serves American cuisine in a home-cooked style, with homemade desserts. Finally, no city would be complete without a notable pizza place. That restaurant is The Brick Oven Bistro, creating unforgettable pizza and calzones that are affordable and served by a welcoming staff. No matter what cuisine you are in the mood for, you can find it in Sandusky. Social Security disability and Supplemental Security Income (SSI) are federal programs put in place to assist those with a disability that is preventing them from retaining employment. If you have a disability that is keeping you from doing your job or getting other work for more than a year, contact a Social Security disability lawyer to help you. You may be eligible for benefits to help offset your inability to work. Long-Term Disability Insurance is either offered as part of your benefits through your job or is acquired by an individual policy you’ve purchased for yourself. If you have this type of disability insurance and you become disabled, then this policy goes into effect after your short-term disability runs out. However, there are many steps to obtaining long-term disability benefits. Contact a long-term disability lawyer to help guide you through this confusing process in order to gain most of your salary while you’re unable to work. The Americans with Disabilities Act (ADA) was signed into law in 1990. This act states that those with a disability are entitled to the same rights as the rest of the public, including people who are Deaf and hard of hearing. At Liner Legal, we’ve noticed that in some cases there is an inability for Deaf individuals to effectively communicate with healthcare professionals and a lack of knowledge on how to find experienced lawyers. Neither is acceptable and at Liner Legal, we will fight for your right to effective medical communication and find you “Deaf friendly” legal representation. The Sandusky Ohio disability attorneys at Liner Legal are disability warriors; ready to fight your battles even when you aren’t. We understand how frustrating and confusing it is to try to navigate life while having a disability that is preventing you from providing for yourself and your family like you want to. Do not give up. Instead call our office if you are looking for assistance with Social Security disability benefits, long-term disability or Deaf discrimination. Let us help guide you through the process to finding the benefits that will allow you to continue with your life. You will find that Liner Legal is different from other disability attorneys in Cleveland. We really care about you and the issues you are facing. We treat our clients as we would want to be treated. That means standing with you each step of the way.Many of our clients come to us from the Cleveland area, but we also serve the communities of Akron, Canton, Youngstown, and Warren through office appointments. Contact us today and learn about the Liner Legal Difference!